This web page is dedicated to all A.S.L.E.F. 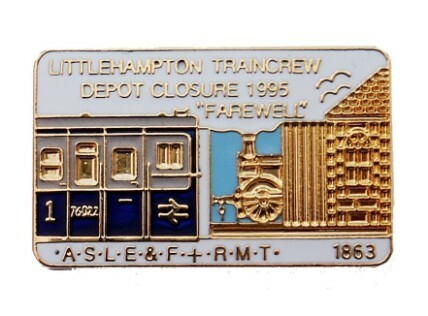 members who have worked at Littlehampton depot over the years, and it features A.S.L.E.F. 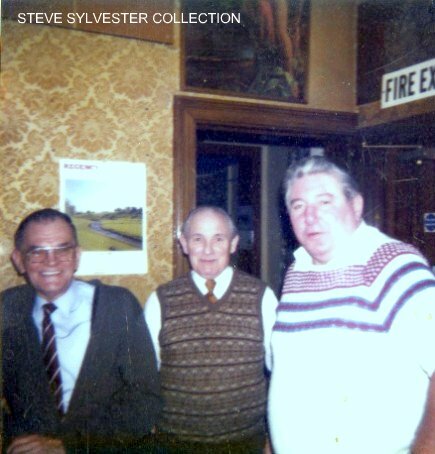 members who brought the trains of Littlehampton to life. 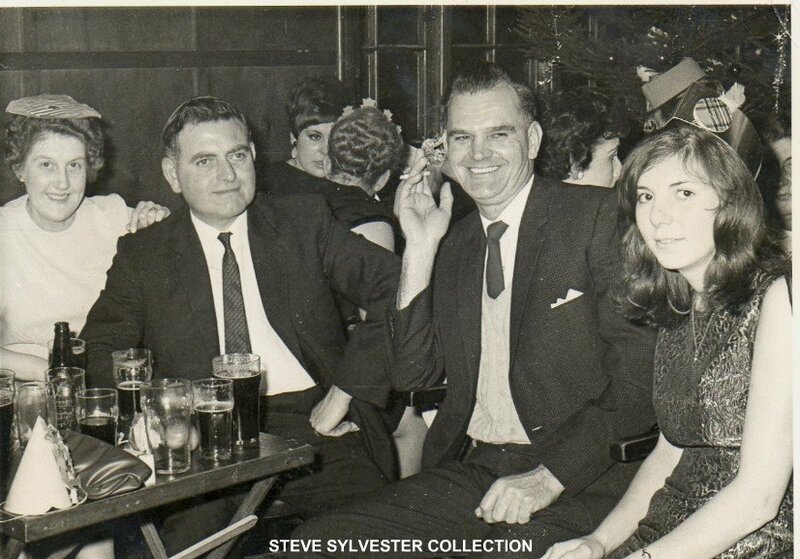 A Social evening was held at the Globe Inn, Littlehampton, on 21st February, and was attended by members of the Littlehampton and Bogor Regis branches of the A. S. L. E. & F. and their wives. The occasion was the retirement of our Branch Chairman, Bro. Sid Easton. 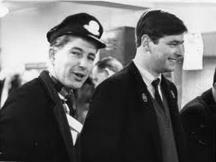 Sid has been a real good Trade Unionist, and was at one time secretary of the New Cross branch. A musical evening followed with Mrs. Miller at the piano - a social function enjoyed by all. Bro. Miller (Chairman) made the presentation there was also a present for Mrs Easton. To all those who kindly assisted in the special efforts for the widow and children of Motorman Johnston we thank you. The amount presented to Mrs. Johnston was £157 - 15s - 0d. the branch tanks everyone for their support. SIR, - As I write we about to the latest “office boys’ brain child” trust upon us. The designer of this monstrosity can have little or no practical knowledge of a Motorman’s duties. Firstly, only one column for departure and arrival stations. It would therefore seem that one will need two tickets at least for most duties (twenty minutes). Then there is the twenty dollar question, actual departure times. How is a Motorman to record this whilst the train is in motion, with only one hand free, a notebook (if he is lucky), no writing desk, no light after dark, and no watch. We have just left a year with some unfortunate accidents, yet some irresponsible people are allowed to bring forth something that can only cause a distraction to a Motorman when engaged in his proper duty. The quarterly meeting was held March 24 and 27. This branch now holds an evening meeting in addition to normal Sunday meeting each quarter. 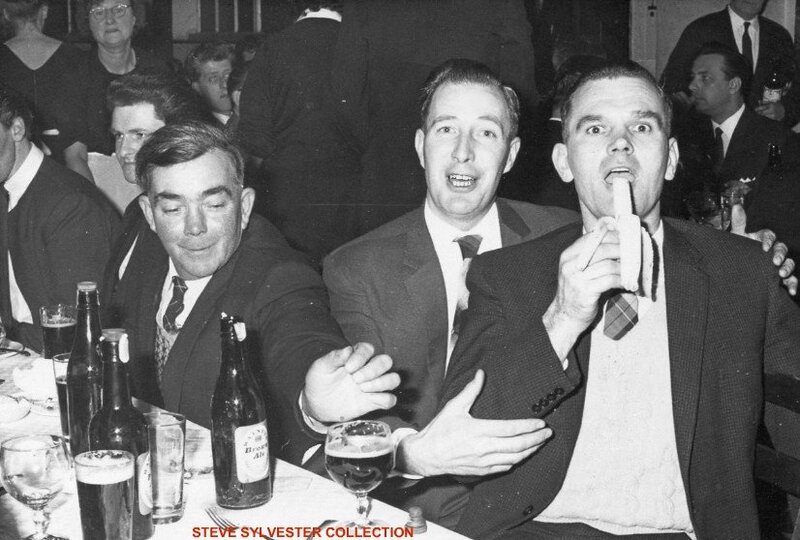 The success of this venture was apparent in that 80 per cent of available members attend the evening meetings. Good work, chaps! Remember, the life-blood of the Branch officers is the support of the members. No resolution on the Guillebaud Report was made, but its findings were discussed in some detail. The liveliest discussions came during the submitting of items for the L.D.C. The main cause of complaint was the issue of uniform clothing, which year by year bears no likeness to an organized issue. Another very sore point under discussion was the lack of messroom facilities at Barnham. On the question of mesrooms a letter from Brighton L.D.C. was read, which gave rise to some scathing remarks regarding the wooden lean-to shack which passes as a messroom at Brighton. It has since been rumoured, however, that a certain amount of progress is being made in providing more suitable temporary accommodation. The quarterly meeting of Littlehampton Branch took place on June 30 and July 3. The Chairman extended a welcome on behalf of all, to Bro. R. Tizard, who after two years away from the depot has now passed fit to take up his duties again at this depot. Good luck, Reg, and may you spend many happy years with us in the future. The report on the wages award was read, and this was received with certain doubts and disappointments. We at this branch now take pride in having 100 per cent A.S.L.E.&F. membership: the application for membership was received, and accepted, of the one and only “non” at this depot. As the year 1960 draws to a close it gives one cause for reflection on the past year’s work of the branch. It as been a year with which the members can be justly pleased, as we have achieved solidarity second to none, and satisfaction and understanding from the management on many of our problems. The passing of the year, however has and meaning for this branch being to the retirement from the chair Bro. 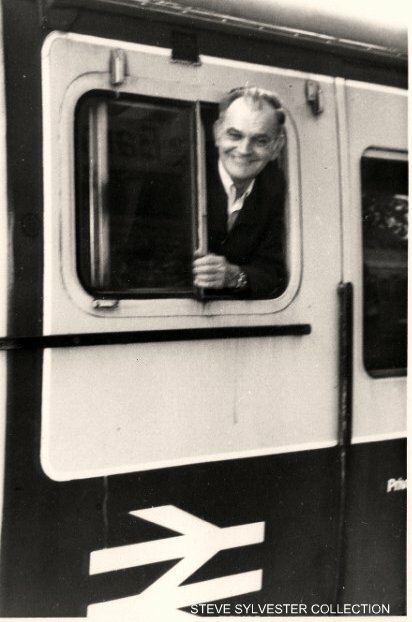 Frank Miller, who shortly retire from railway service. Bro. Frank at the time of writing, is unfortunately in hospital. His loyal a dedicated service to this branch in years even when not in good health himself, has been a shinning example to us. Congratulations to Bro. D.K. Pullen for his lively and humorous article in December Journal. Whilst enjoying his humour in this matter, it is to hoped that seriousness of underlying implications is not overlooked. 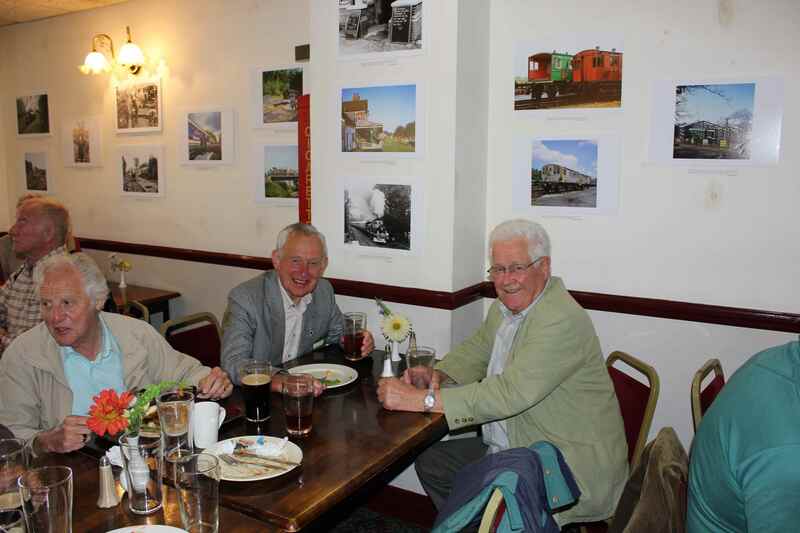 The Branch met on October 19, with the usual good attendance. 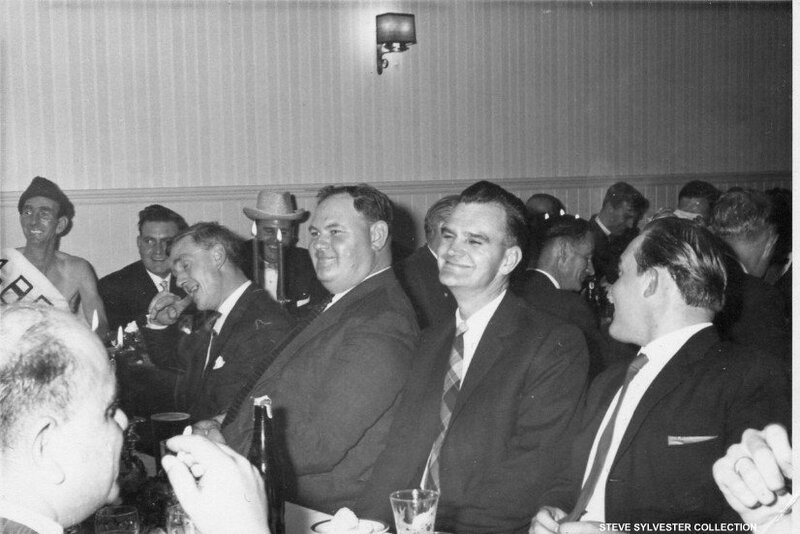 Unlike many branches, we have no worries as regards attendance at our meetings: perhaps this is because our branch business is not carried on as a dull routine, but with an earnest view to altering our conditions, where ever man is made conscious of his own part in the machine, without fear that he will belittled by his comrades for saying his piece. Or maybe it is because members are allowed to bring their “pint” from the bar into the meeting. This may be a rather unorthodox way of running a meeting, but under the able chairmanship of Bro. Jack Everson it works with much success. Other branches may do well to give it a try. Our 10 per cent wage claim has now been turned down. This could have been expected in view of Government pressure on employers. Yet, alas! There are still a few of our fraternity so blind as to think that politics have nothing to do with the trade union branch room. With the new arrangements for staff representation coming into force this and the Bognor Regis Branch have decided to apply for a joint L.D.C. 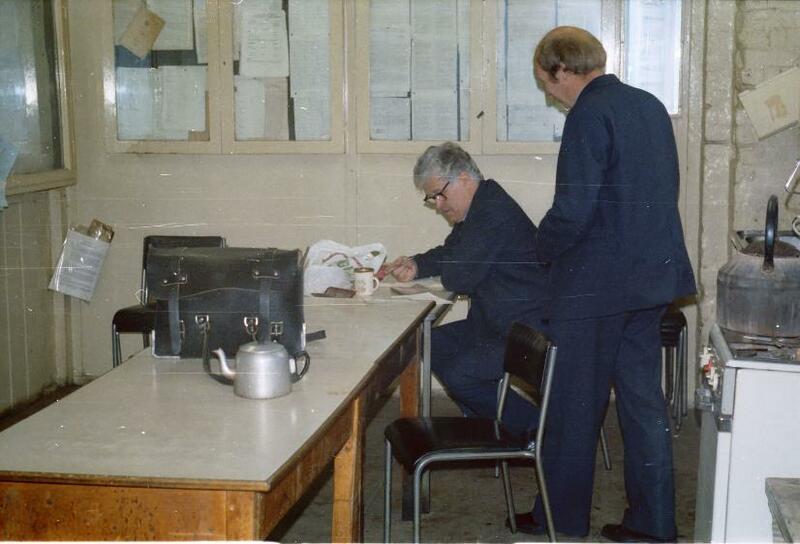 Fred Janaway, Littlehampton ASLEF Branch Secretary. Many congratulations to Len Warboys on a very enjoyable weekend school at Southsea. The choice of speakers was excellent. Getting Sir Bob Reid as a speaker was certainly a coup on Le’s part. The General Secretary gave an informative talk on restricting and was as usual on top form. Sara Leslie from the union’s solicitors spoke most interestingly on points of law and the latest Trade Union Acts. It was good to see members of Sectional council among the ranks and their secretary Ron Lifford closed the weekend session. A good time shared with friends and colleagues. I look forward to the next one, Len. 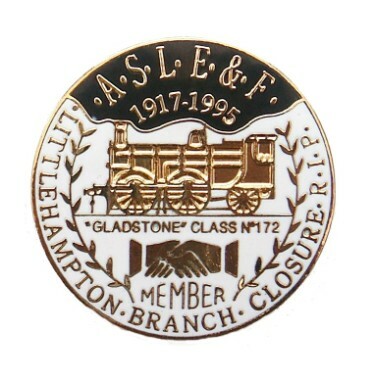 Littlehampton Branch 1982 - 1992 tenth anniversary strike badges have been ordered and by the time this letter appears you should be receiving same. it was necessary to collect money before going ahead as some £700 was needed. You will appreciate that this is difficult to find from your own pocket. This was not a Branch funded venture but a personal one; we do not have those kind of funds in our Branch. If anyone else would like a badge I will still take orders but it will be necessary to clear 250 to be able to get them as cheap. They cost £3 each. May I wish all our readers a Merry Xmas and the best wishes for 1993. We have some hard times ahead. Let’s fight them together, not divided. 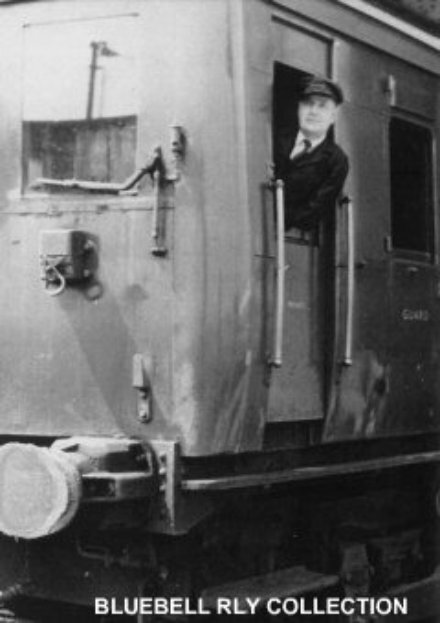 "Wheels grind to a halt for four train drivers"
One of Littlehampton's first motormen, when the depot opened in 1938. 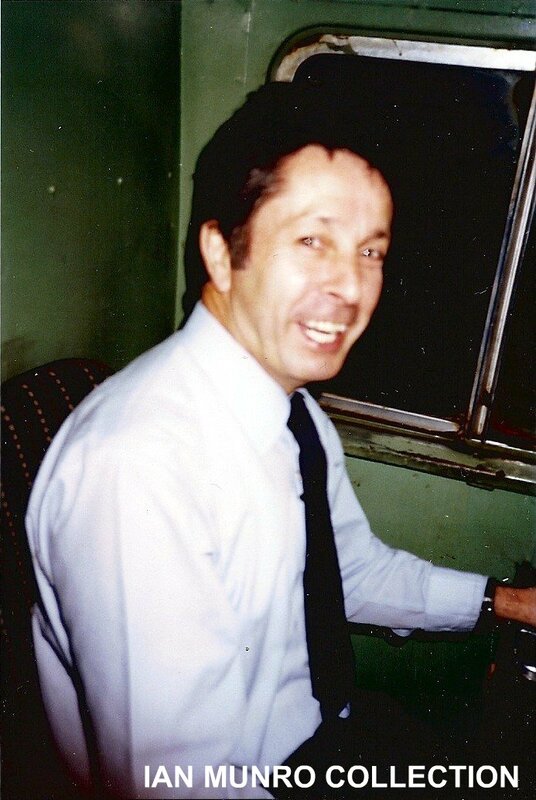 Todd started his footplate career at Bognor Regis Loco Shed in c1950. 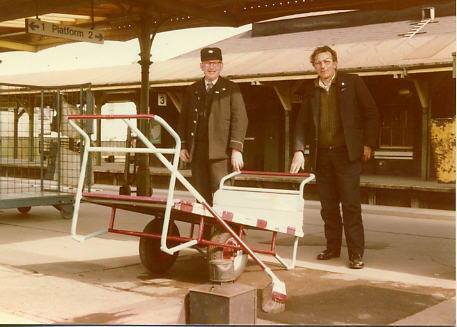 Todd was to become the last footplateman to be taken on at Bognor Regis. 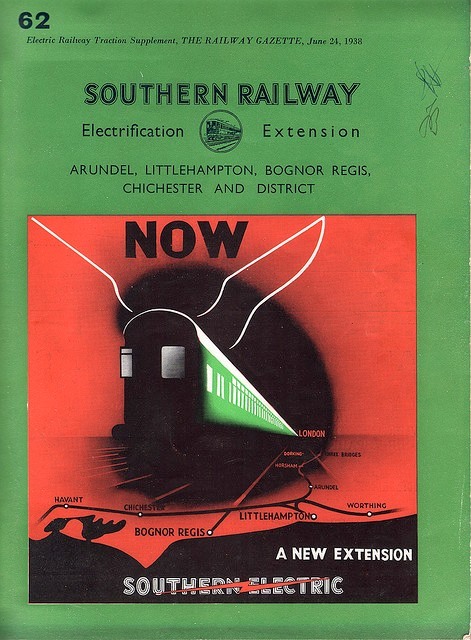 With the closure of Bognor Regis Loco shed in November 1961, saw the work (4 turns) at Bognor being moved to Horsham and Brighton. Todd transfered to Brighton as a passed fireman and later moved to Littlehampton E.M.U.T. 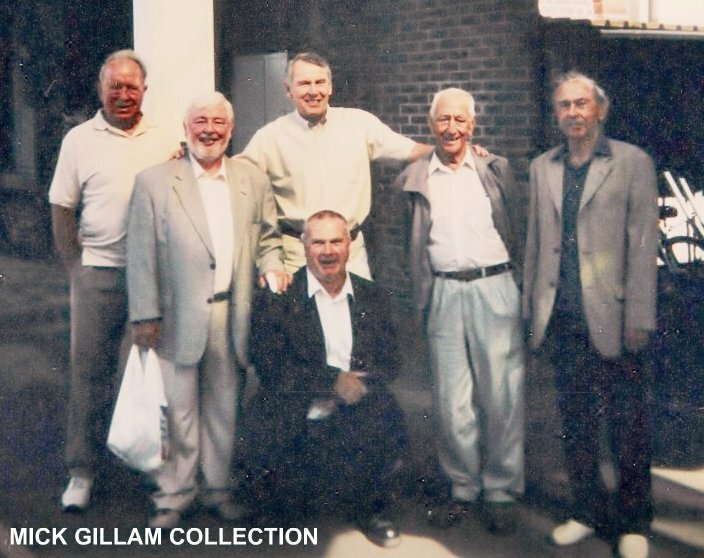 with guess appearances by Gordon Hatcher, Wilf Jeans, Fred Janaway, John Lillywhite & Peter Sargent. 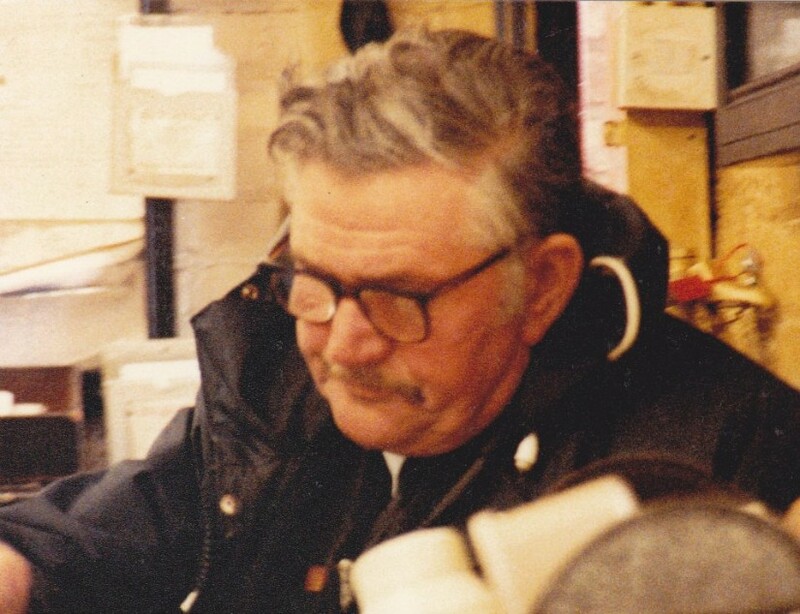 Gordon Knight's father was a driver at Three Bridges many years ago although I did fire to him once on loan from Horsham, he was my mothers brother, my uncle so Gordon was my cousin, he was known as "Captain birds eye" I think because he had a boat, but that's a story for another day!!! 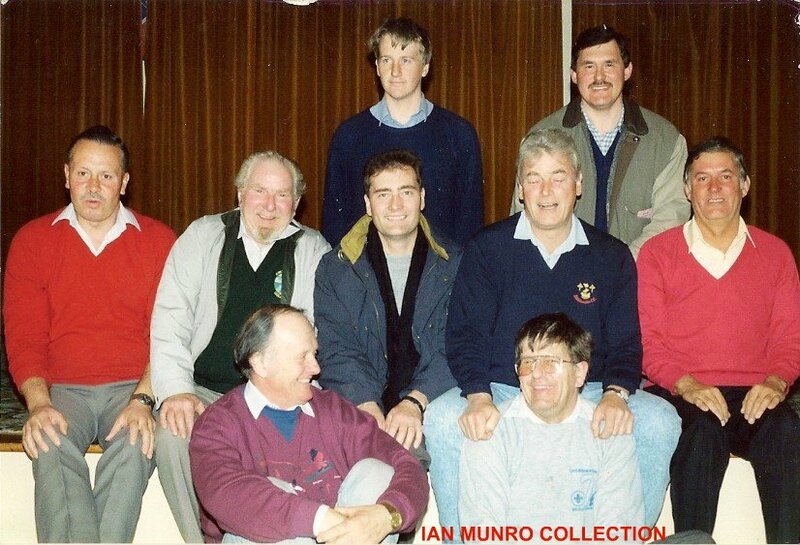 Front Ian Munro (W. Worthing) & Tony Squires (L’hm Guard). It is with deep regret that I inform you of the passing of two Littlehampton retired drivers. grades. I did hear that Alec could be seen riding his bicycle around town until recently, but a year or so ago he took to an electric 3mph machine. Brighton as a loco cleaner on 23 April 1959. Moving through the grades he went to Addiscombe in 1966 and a year later to Bognor. 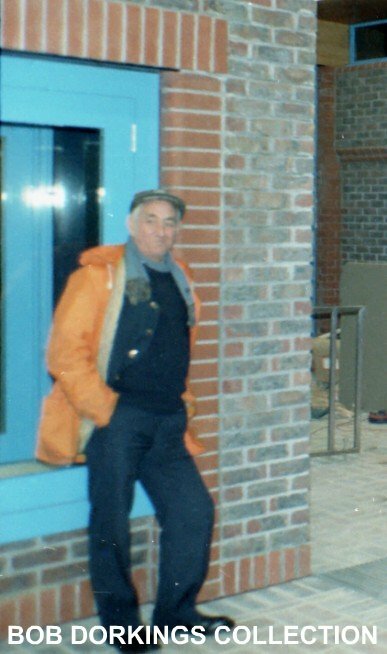 Littlehampton was his next port of call in 1988. 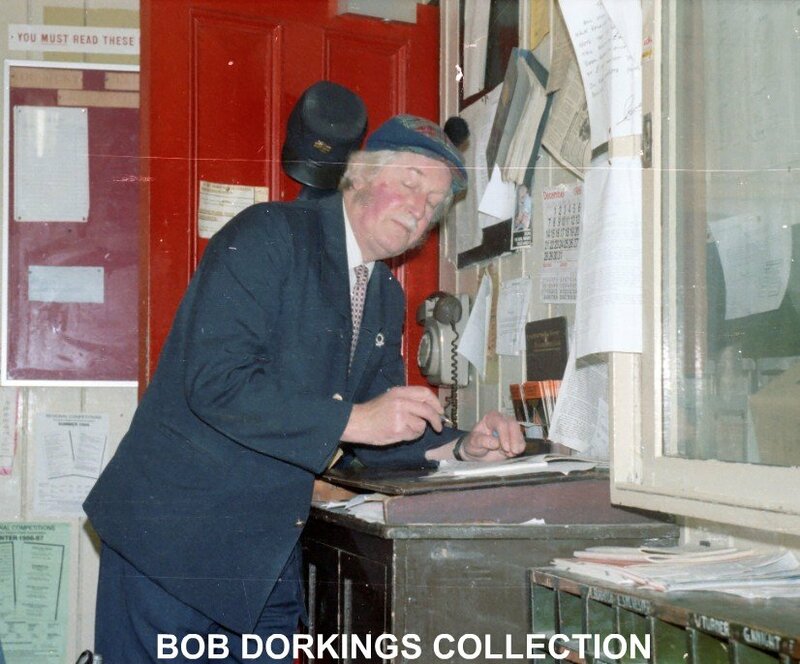 When he was made redundant there he moved to Barnham in 1995. 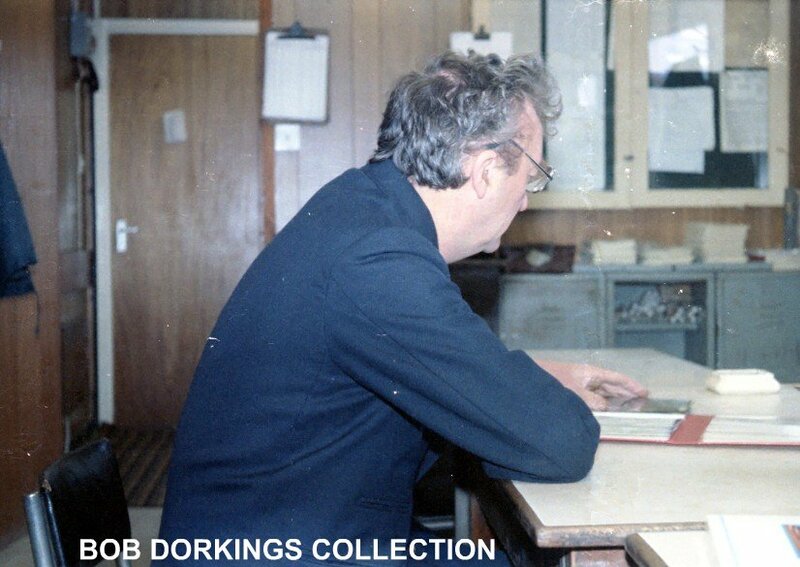 Later he took the position of shed shunt driver at Littlehampton and retired little under a year ago. Left to Right standing Mick Nott, Terry "Barney Rubble" Edwards, Mick Gillam, Alec Lovell, John Sanders. Knelling is Jim Blyth. 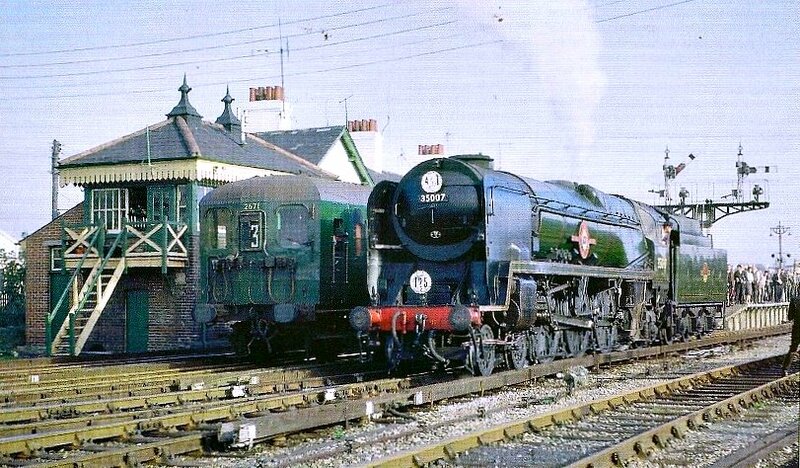 The photo was taken at Littlehampton station en-route the way to the Nine Elms Reunion c2005. I am sad to report the death on Christmas Eve of my oldest and dearest friend, John Gillam, known as Mick. He was 71. He started cleaning, then firing, at Brighton, got his driving job at Coulsdon, and then moved to Littlehampton. 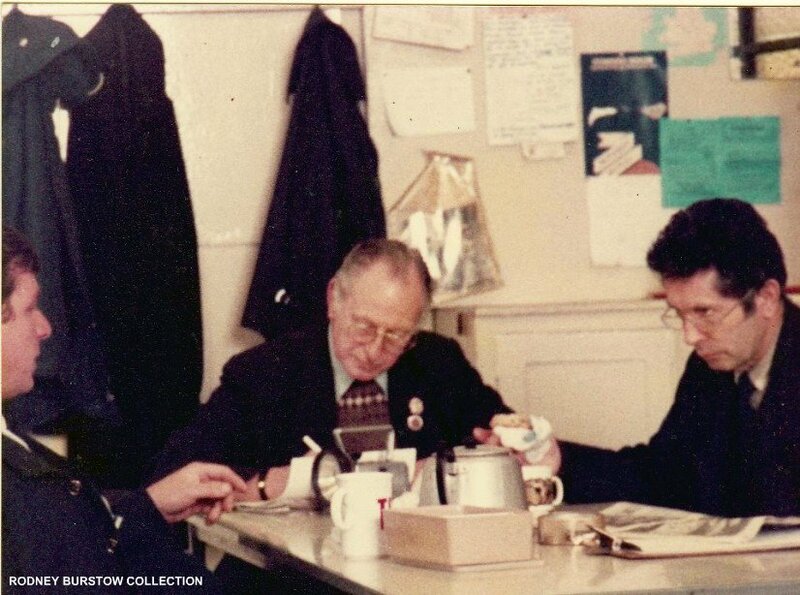 His wife Sue became very ill and he took a traction inspector’s job so he could look after her, and retired early when she needed full-time care. 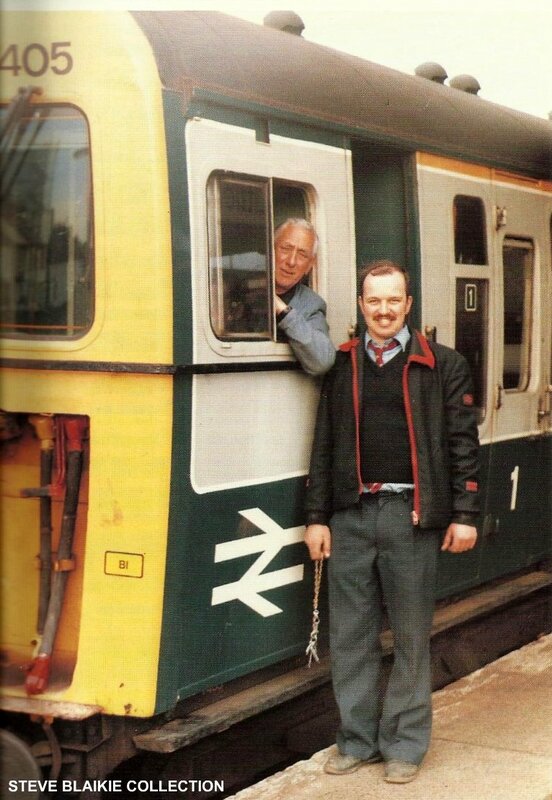 But, like many of us, he never left the railway. He was at every reunion and get together because he loved the friendship and the banter between locomen. We shared a pushchair as two-year-olds, we started school, left school, and started work together. He had a sharp wit and a great sense of humour. We played golf together and often said, whilst walking the course, that we wouldn’t change anything in our lives. But I would love the chance to play another game with him. John leaves two sons, John and Glenn, and his partner Pam. 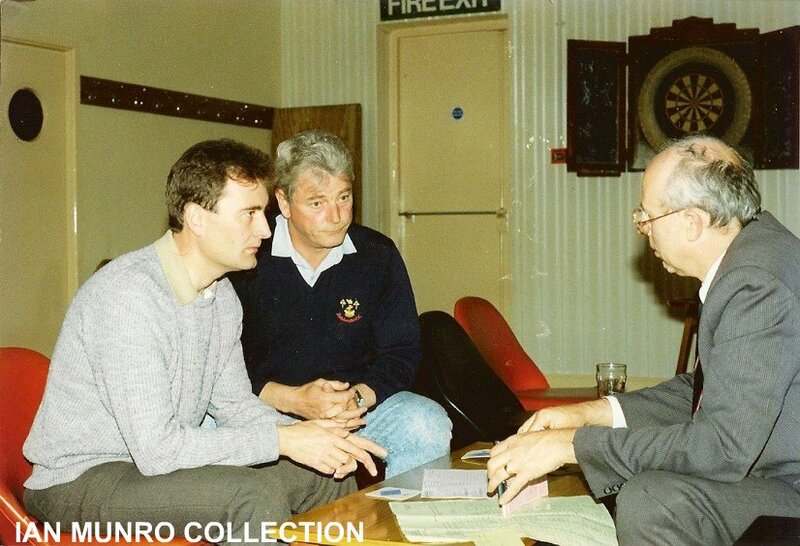 The photos below are taken from the Brighton Train Crew Fund Social of 1991. 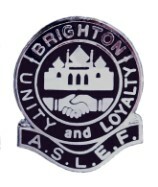 The video was filmed Eddie Fordham to commerate the centenary of the Brighton Branch of A.S.L.E.F. Can anyone name the other people featured in this photo.